Akash is the Camps Master for ProBall Mastery. With vast experience as both a player and a coach, he gives the youth of today a lot to learn from. Played for Persija Youth team and represented DKI Pon during his stay in Indonesia. 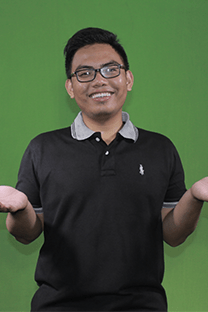 Played for Geylang United and Blaestier Central while growing up in Singapore as a teenager. Also played in Europe with Pro Vercelli in Italy Serie C and in UK with Bedfont FC. 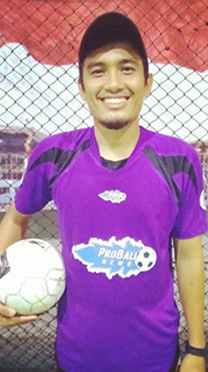 Finally moved to the US on a scholarship for Warner Pacific College before injuring his knee and moving into coaching, where he began learning the secrets of ProBall Mastery and seeing players become superstars at an early age. From that day onwards, there was no turning back, and he has helped transform many kids lives, making them into great players on the court and great students off it. 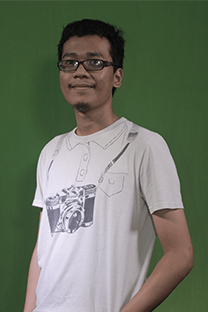 Coach Bayu is our Technique and Tricks specialist. He is an Ex Pra-Pon player representing Persija Barat. Coach Bayu has created many Messi and Ronaldo-like players since being part of North Jakarta Dojos in 2013. 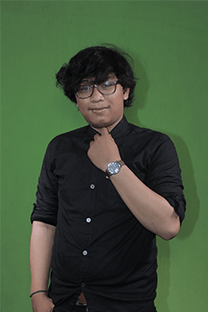 He is also amongst the best 1v1 player in Indonesia. 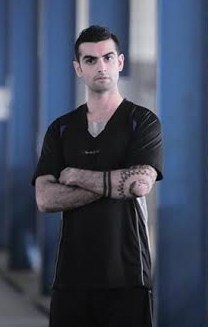 His experience and knowledge about this new revolutionary sport has changed many youth lives for the better. Coach Tama is our Agility specialist. We keep creating light footed players each semester and they dominate at 1vs1 matches and win medals at the ProBall Mastery tournament that is held twice a year. 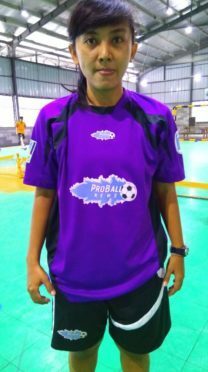 Lala is a current professional Futsal player in Indonesia’s Liga Pro ( Women ) with Jaya Kencana Angels. Also was part of seleknas SEA Games 2001. Lala brings in a lot of technical knowledge for Proball players of White Level, assisting them to reach their next target, Yellow Level. Lala also currently holds the AFC Level 1 Futsal badge. 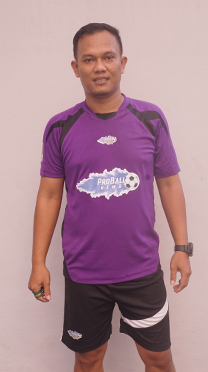 Jejen is one of our coaches in South Jakarta. He has vast experience at the grassroots level. 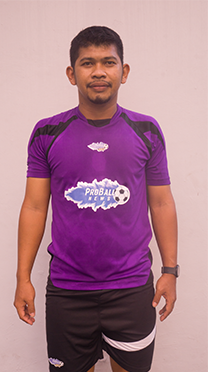 Jejen holds the ProBall Mastery Level 1 License and has been involved with known Clubs/Academies such as Villa 2000. 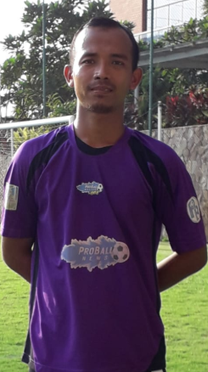 Komar is another of our latest recruits for our South Jakarta Training Centre/s and has quickly become a player’s favourite. 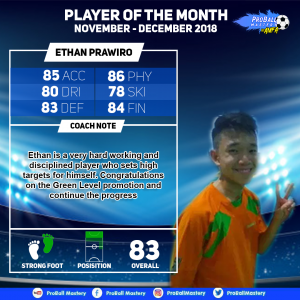 His bubbly personality and attention to detail has made an impact on the progress of players since he began his partnership with ProBall Mastery. 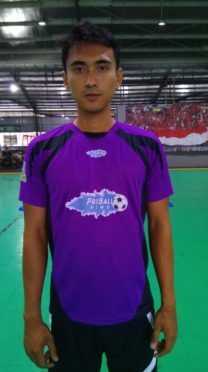 Komar also holds the ProBall Mastery Level 1 License and was part of Indonesia Division 2 as a player with PERSEMAI DUMAI, PSJS Jakarta Selatan, PERSIKO KOTA BARU (KALSEL). Ando is another latest addition to the Coaching Family with vast experience handling youth as a Physical Education Teacher for 9 years. 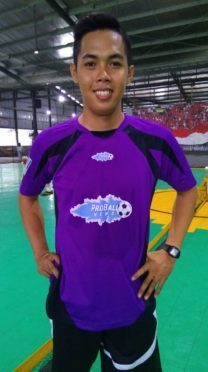 Ando also holds the PSSI Level 1 Futsal badge and the ProBall Mastery Level 1 License. Abu is our Head Coach for School Team ECA- Soccer & Mini Soccer. Abu holds the AFC LEVEL C badge making him amongst the few coaches in North Jakarta to hold one. Abu has vast coaching experience for Grassroots Soccer and is currently with Beacon Academy School Team.